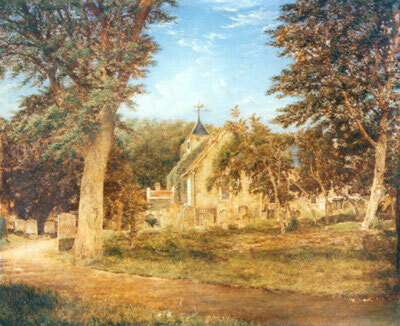 The original church of St Mary the Virgin was situated on the road between Theydon Bois and Abridge and although no trace of the building is left there is a memorial inscribed with the names of some of the parishioners who were buried here. For a while it was served by travelling priests from St. Bartholomew the Great, Smithfield. When Rev George Hambleton became incumbent in 1842 it was decided to build a new church in a more central position. 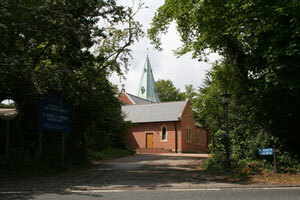 Funds were raised, a site found and a new church was completed in 1844. It has a central aisle, choir and sanctuary, several stained glass windows, including one to Frances Mary Buss, founder of The North London Collegiate School for Girls (see below for further details). Her grave is on the north side of the church. The tower is topped by a copper clad spire and contains three bells which were brought from the old church, two mediaeval and one Victorian. There are several monuments also brought including hatchments which show the full armorial bearings of some local families and one of the King's arms dating from the reign of James 1. After the War, the vicar, Rev. 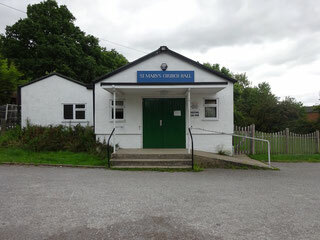 Patrick Wild bought a disused army hut which was erected on the glebe field to serve as a Church Hall. This is still in use today. The churchyard contains three magnificent oak trees established long before the church was built. 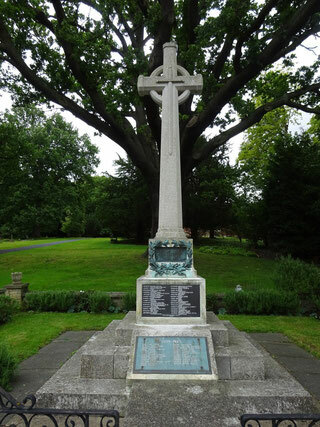 In the lower part stands the village War Memorial to all the local men killed in both World Wars. There are also four Commonwealth War graves and one much older marking the last resting place of a soldier who survived the retreat to Corunna. Another shows the grave of James Theodore Bent, a Victorian explorer and archaeologist. 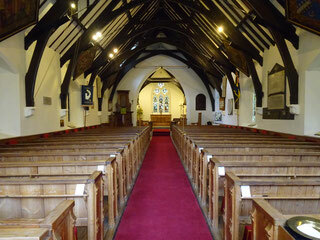 It is a very beautiful and peaceful little church and churchyard standing in the heart of Epping Forest. She became the founding president of the Association of Head Mistresses in 1874, a position she held until 1894, and was also involved in establishing the Teachers' Guild in 1883 and the Cambridge Training College (later Hughes Hall) for training teachers in 1885. 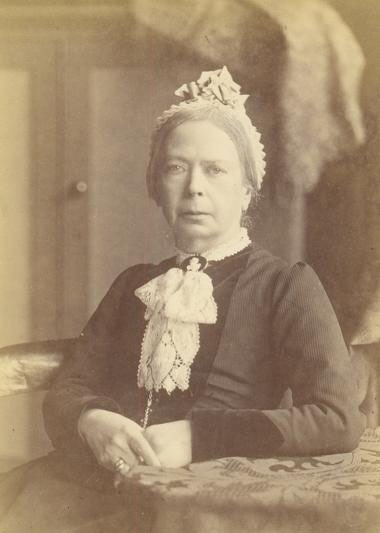 In 1869 she became the first woman Fellow of the College of Preceptors, helping to establish the College's professorship of the science and art of education in 1872. Her election to a Fellowship of the College in 1873 was the only public recognition she ever received. She was also a member of the Council of the Teachers' Training and Registration Society. 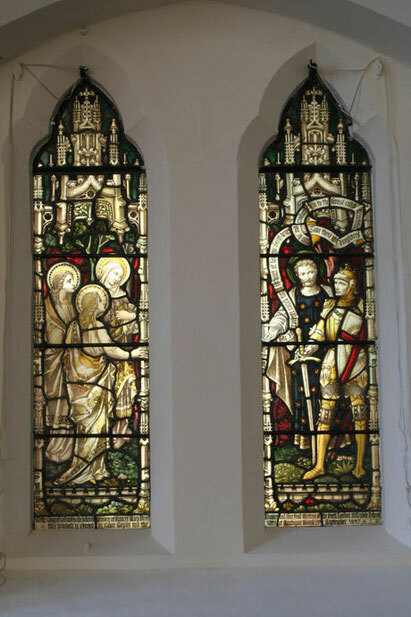 "To the Glory of God and to the beloved memory of Frances Mary Buss founder and first head mistress of the North London Collegiate School this window is erected by Grace Toplis and the girls of Montague House 25th September 1897." She is buried in the churchyard on the north side of the church. Unfortunately, soon afterwards defects began to appear which became so serious that the decision was taken to demolish the building and rebuild. A new architect was engaged, Sidney Smirke, who designed the Reading Room at The British Museum, and the new church was completed in 1850. In 1940 a parachute mine was dropped on the Retreat a few hundred yards away, this blew out the west window - which is still clear glass today - and killed about twenty eight soldiers of The Kings Own Scottish Borders who were billeted there. 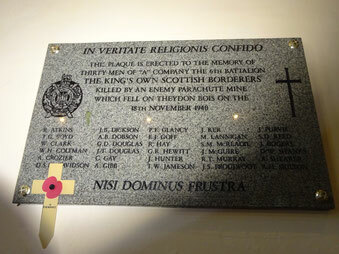 They are commemorated on a plaque in the church. 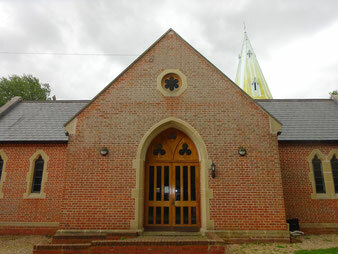 2004 saw the dedication of a Parish Centre which was built as an extension to the church in the style of Sidney Smirke's original building. This has enabled Junior Church and other events to be held under the same roof. To help her family finances Frances' Mother set up a private school in Clarence Road, Kentish Town, in 1845. The Buss's school was renamed the North London Collegiate School and moved to larger premises in Camden Street on 4 April, 1850. Buss was its first Principal and remained so for the rest of her life. Under her headship, the school became a model for girls' education. By 1865 the school had 200 day girls, with a few boarders, but was still run as a private, family concern, with her father Robert William Buss and her brother Septimus Buss teaching Art and Scripture respectively. In July 1870 Frances Buss handed over the school to trustees, and in the following year she founded the Camden School for Girls with the aim of offering more affordable education for girls. She was the first ever headmistress.